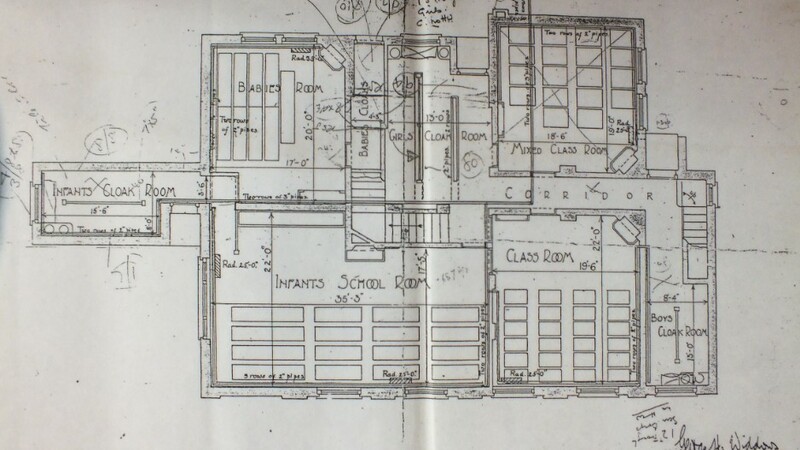 A compact mixed junior and infants school, built in 1900 to educate the local children. 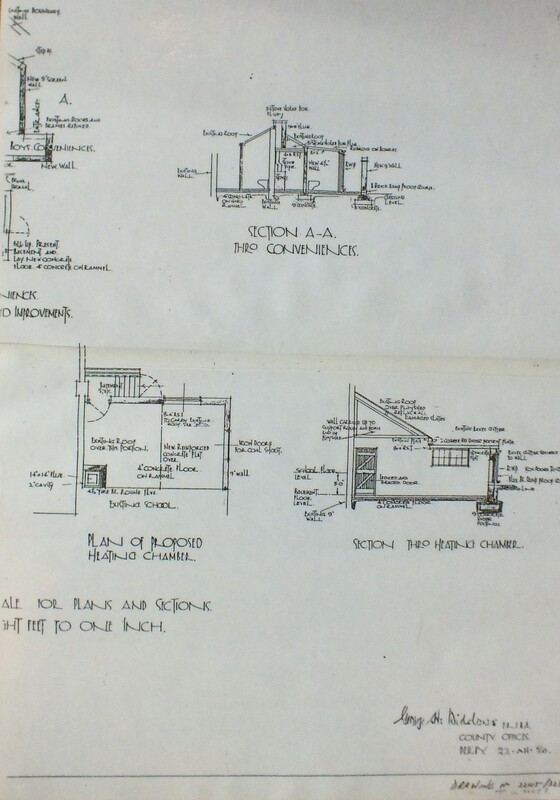 Photographs from video and copyright A.N.B. 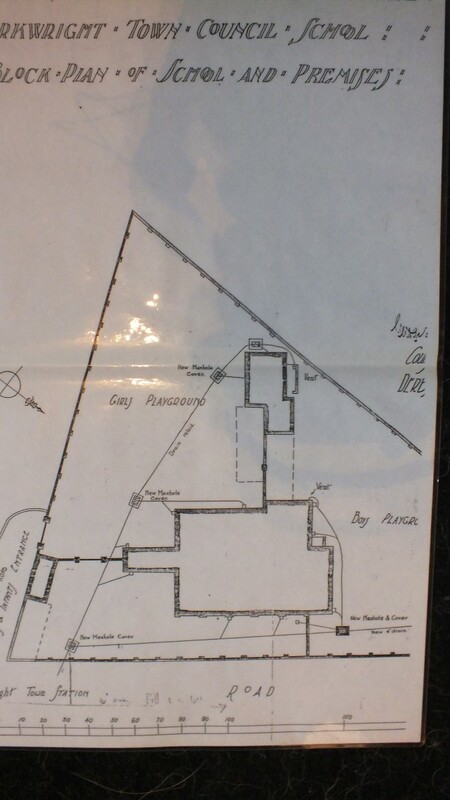 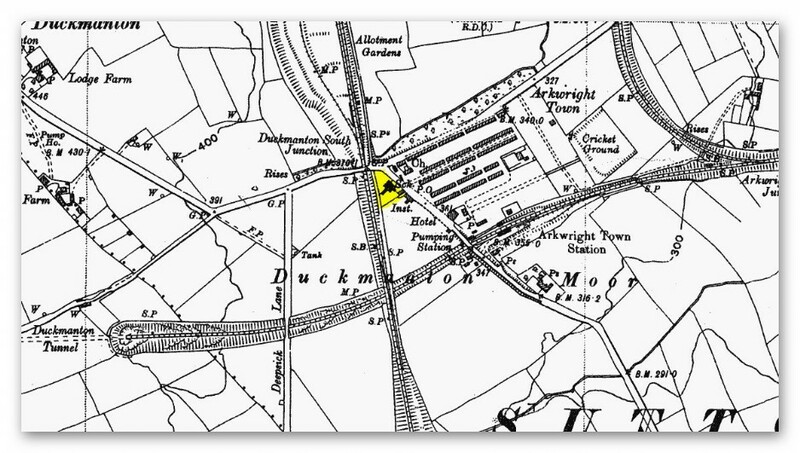 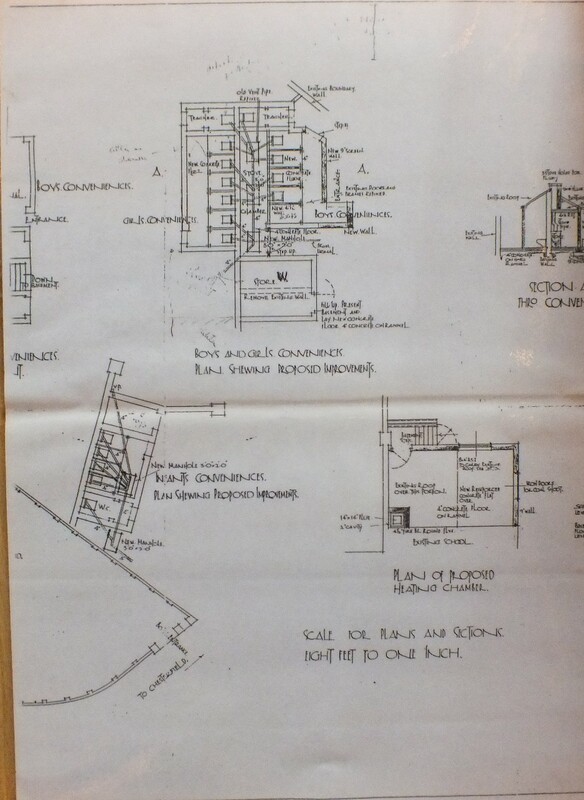 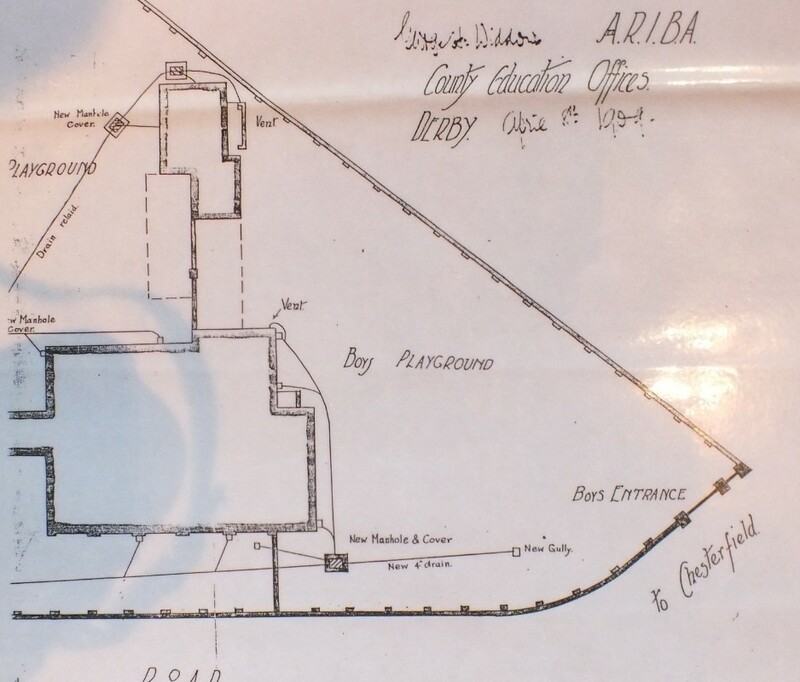 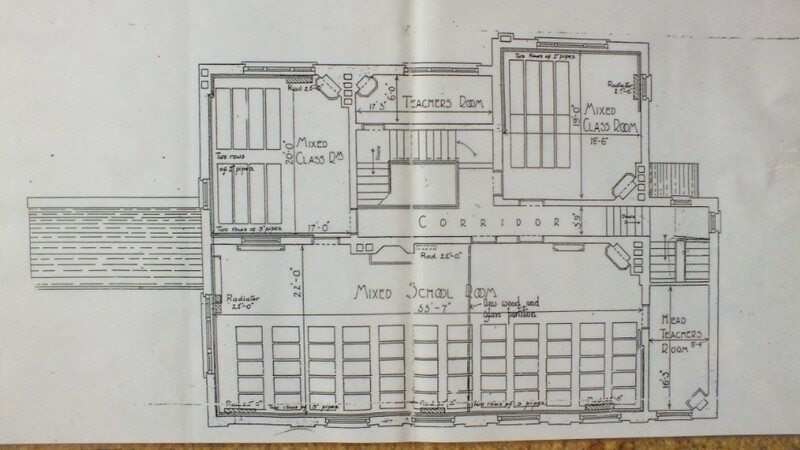 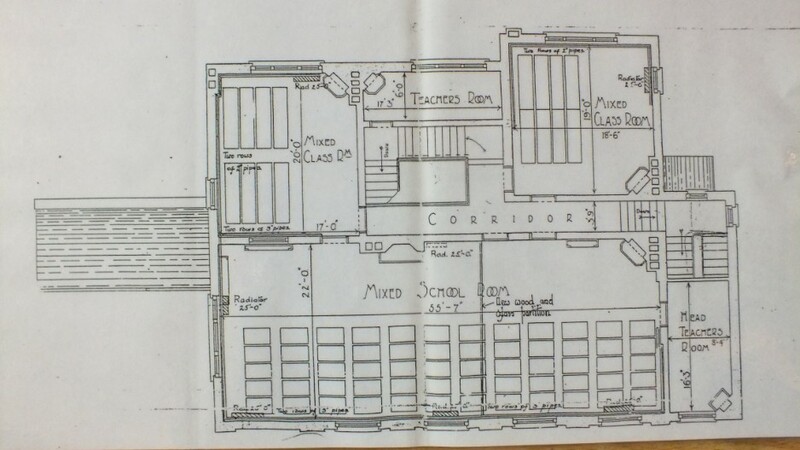 Plans from the Derbyshire Records Office. 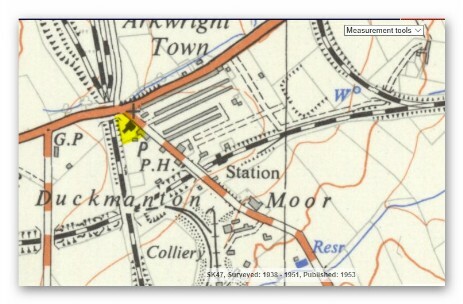 Top Map 1938 Ordnance Survey six inches to the mile.